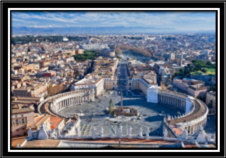 Have you noticed the obelisk at the Vatican? What is it doing there? The church states it is a sundial 169. There are obelisks all over the world. You know their outer meanings e.g. sundials, monuments to commemorate presidents, commemoration of victories, commemoration for soldier lost in wars etc.